I actually prefer to work with photoperiod, I would be more than happy to try out anything you have to offer.. thank you very much for your generosity. Yeah I don't know why that did that..it was supposed to be a private message, thanks for looking out I didn't realize that went up on the room board. Slow down man...thats all slow down. That looks like the "Shaman"..? Manuel override like! What day is this @Mr.Sparkle? 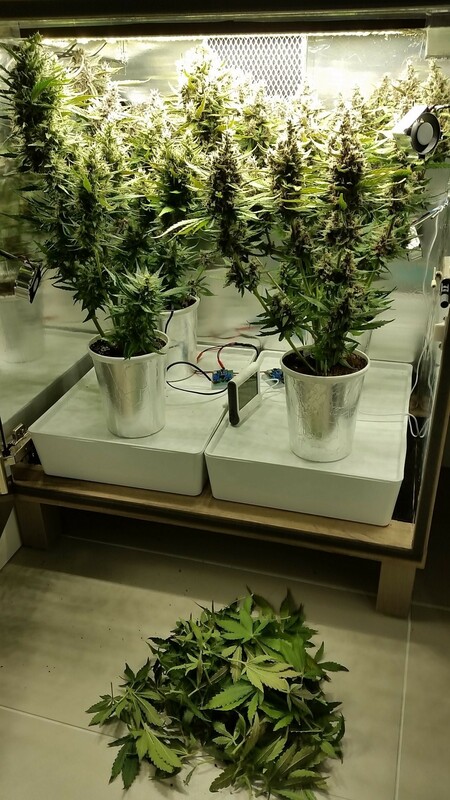 So yeah Day 46 from sprout, just did a res change will be feeding at 730-740ppm (1.45-1.5ec), While pulling out the plants, yeah still looks like at least another two weeks for the plants on the left as they are going through there second flush of pistils and caylxs. These things are amazing and even if they take another 2 weeks is downright bloody fast from seed. I have been thinking that these pictures you post would make an awesome flick-book animation they grow so fast. Could you please tell us how big those fans are or add something in a pic for size reference? Great work Mr Sparkle, and quite the show! Many great posts on the thread and worth the read. Thanks for the tour and the electronics, mechanical, plumbing and aerospace education. Nice looking gals @Mr.Sparkle! I think I'll try my hand with autos indoors over the winter months your photos are inspiring! Day 49, They are starting to shut down but are still growing and showing healthy pistils, the buds are starting to elongate now. Reservoir ppm is now up to 925-975 (1.85-1.95ec), from the res change 4 days ago at 730-740ppm (1.45-1.5ec), so im just gonna dilute with some water back down to 600-650ppm range. 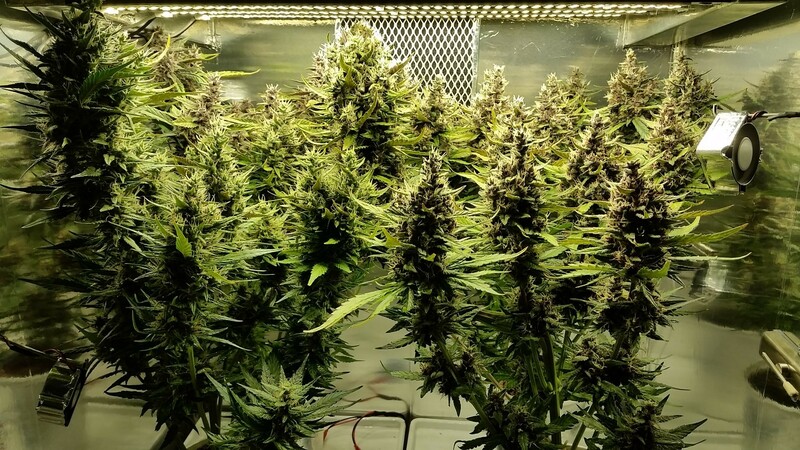 Best micro grow I've seen to date. got those seeds yesterday so dropping 4 ddf2 today and the one tdddxcm that was only slightly smooshed..
Decided to do some plucking, was it needed no definitely not as they could of used the stores of nutrients and sugars produced from those leaves, but they have plenty in the closer bud leaves. 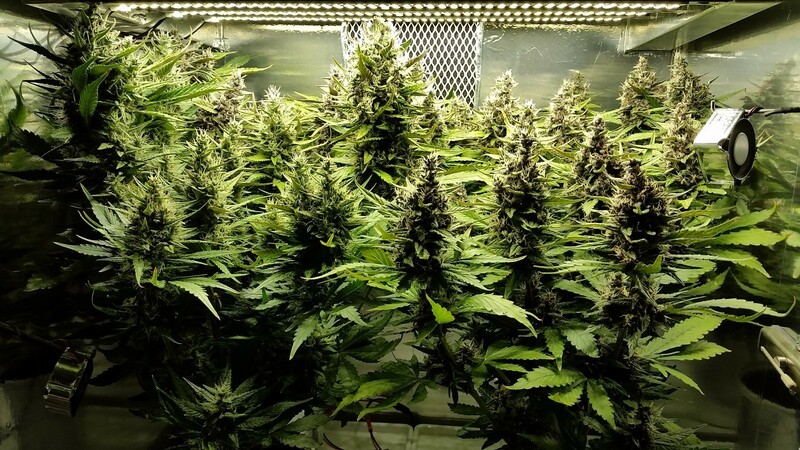 My reasoning is the humidity was on the higher side anyways for finishing out which is a nice time for mold to become present as the plant is starting to slowly die out by shutting/slow down the older parts of the plant all so the newer parts still have a chance at catching pollen. 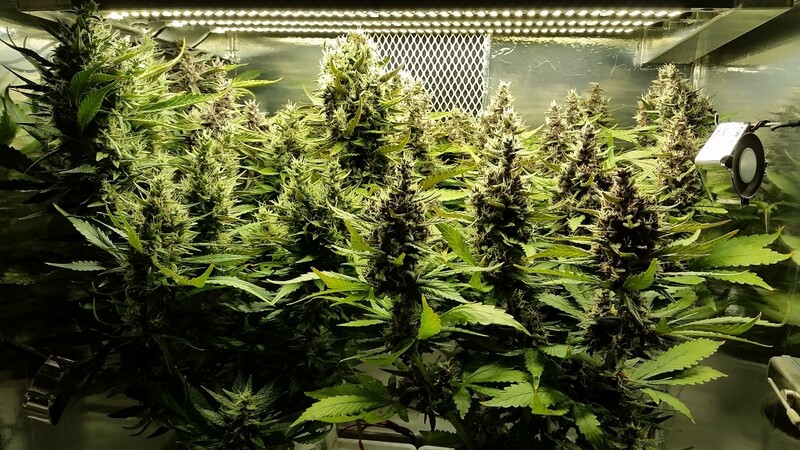 Also opening the canopy allows more light to get into the lower bottom buds which can catch up finish level wise to the top buds, this way the plant finishes a lot closer to the same level when looking at top to bottom ripeness when plants are really growing densely. So this will help the plant finish out quicker as well not that i needed too but it was time. Also dropped the reservoirs down to around 700ppm (1.4ec) with just adding some water. Hey @Mr.Sparkle...what is the higth of those from bottom of container to highest bud for a reference?? ?...they look superb.....pruning was a wise choice for the reasoning. 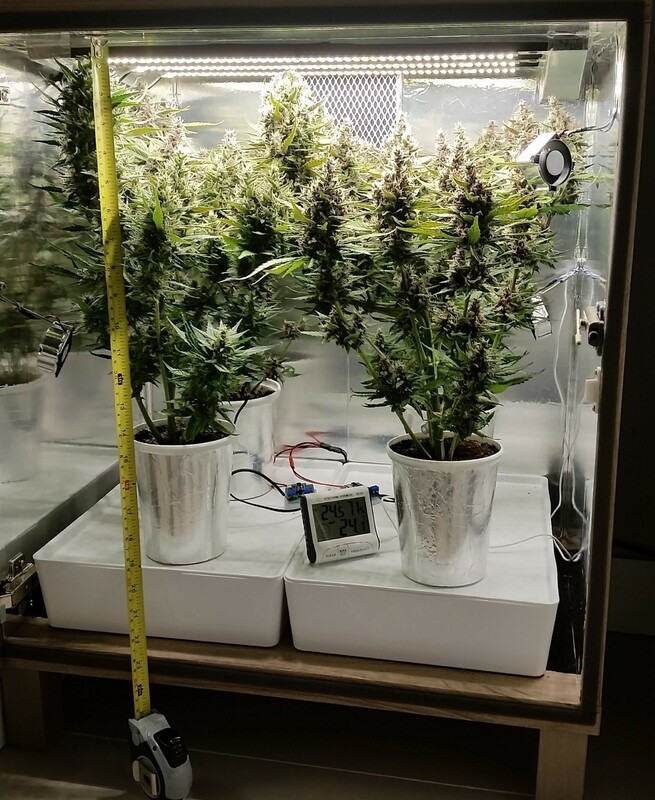 This should help for sizing, about 14-15" from top of the container too the top of the plants, but all of them had been folded over to reduce height, id say pretty decent for the space and a 100watts all in.